Fancy taking on Malificent to save Sleeping Beauty, beating Turbo in a race, and making a giant Olaf from Frozen? What about playing with Toy Story characters in Andy’s Room, or going on the Indiana Jones: Temple of the Forbidden Eye Disneyland ride? Sounds amazing right? 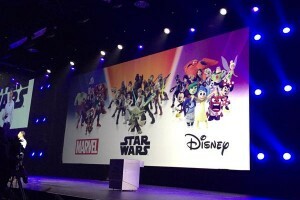 Well you can go on all these amazing adventures and more by downloading all the great user-made Toy Boxes featured by Disney Infinity. 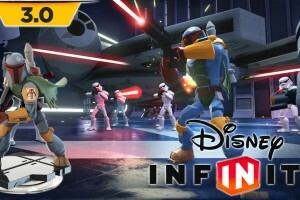 Here at BoxMash we really love Disney Infinity’s Toy Box Interactive feature as it gives everyone the chance to connect with players just like you all around the world and see their awesome imagination come to life with their Toy Box creations! 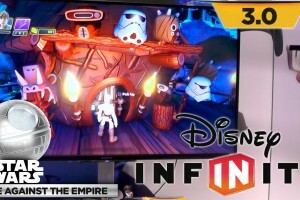 If you aren’t sure what Toy Boxes are, they are awesome stand-alone levels created by both the Disney Infinity team and players of Disney Infinity, just like you. 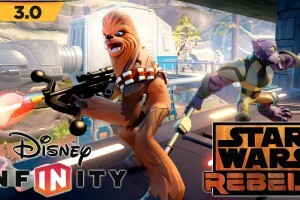 Each Toy Box level has it’s own story and rules, and Disney Infinity features new Toy Boxes from around the world every week so you can have a steady stream of fresh fun. 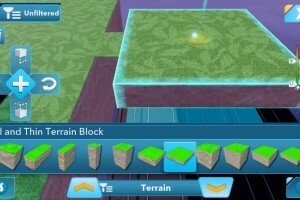 You don’t have to buy anything to play these cool player-made levels, just download them by heading to the game’s online menu and selecting Toy Box. Next select “Toy Box Share” and finally “Disney’s Toy Boxes”, and you’ll see a list of Toy Boxes you can download and play! 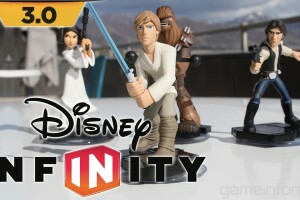 As Disney Infinity have been adding new Toy Boxes every week since the game launched, there’s a lot to chose from. To help you decide which you should try first, we’ve made this handy list of the Toy Boxes we think are the best out there. 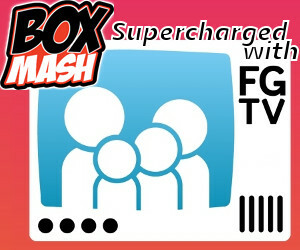 We’ve divided them into easy categories so you can quickly find what themed Toy Box you want to try, whether it be a racing Toy Box or an Arcade Toy Box, the choice is yours! Well what are you waiting for? Let the gaming begin! Did you know that Toy Story is where the idea for Disney Infinity Toy Box began? Just like Andy’s Toy Box, you now have your own Toy Box of characters to play with, so we think this Toy Story classic recreation of Andy’s bedroom from the movies is really awesome. In this Toy Box you can explore all of Andy’s room in detail, taking part in a race around his racetrack, or messing up his toy blocks on the floor by crashing into them. You can fly through the room, run around, and just do whatever you want with your favourite characters in this classic setting from your favourite movies. This Toy Box also won 2013s Best Toy Box of the Year competition, so you know it’s going to be loads of fun. Want to go to Disneyland but can’t? 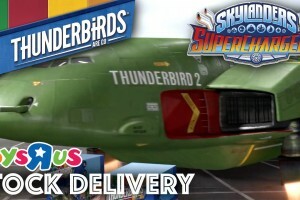 Don’t worry, what makes this Toy Box so cool is that it is such a faithful recreation of the Indiana Jones: Temple of the Forbidden Eye Theme Park Ride from Disneyland, so you don’t have to even leave your house to experience the ride! This Toy Box is jam-packed with adventure. Whilst exploring the Temple of the Forbidden eye you’ve accidentally done the thing you were told not to – you’ve looked into Mara’s Eyes and now you must escape his wrath and your certain doom! Be careful because you must avoid gigantic boulders, poison eye darts and dangerous paths that await you! Who’s the fairest and fastest one of all? Fans of the classic Disney film Snow White and the Seven Dwarfs will love this Toy Box. This is a two-player obstacle course where you must jump, slide, avoid and race your way through the crazy obstacles to defeat the Evil Queen. First to the apple wins, but remember not to eat it or you might be put under a spell! Face off your friends and see who is crowned most fearsome Pirate in this two-player game called Blast and Seek. This game is super competitive and will give you a chance to test your pirate prowess. This is a two-player pirate ship battle where you must quickly choose your ship to blast your foe out of the water. What’s cool about this game is that the combat isn’t stuck on the ships; you can also head to the nearest village to defeat your foe in a hand-to-hand and gun combat battle. Who doesn’t love Halloween? It’s everyone’s favourite time of year to dress up as our favourite heroes and villains, and get more sweets than we can eat! Our favourite Halloween town from the Nightmare Before Christmas makes a return in this awesome Toy Box by DGor0407 which has a massive Oogie Boogie and Jack Skellington as background pieces. In this level, Oogie Boogie is back, and wants revenge on Jack. Can you survive Oogie’s Challenge, as he sends minions to defeat you? Explore Halloween land, defeat Oogies minions and get Jack where he truly belongs, as King of the Pumpkin Palace! Defeat the evil Candy King Turbo in this Wreck-it Ralph themed race course by Cameron W. Turbo is back to his evil scheming ways and wants to beat Ralph in a race to punish him for helping Vanellope. Race in, out and around Ralph and Turbos 8bit heads and their cool catch phrases in a racecourse that reaches into the clouds. What’s cool about this game is that you can also play for Turbo, so chose your side wisely! Get ready for the adventure of a lifetime in this cool Aladdin themed Toy Box. Jafar is back and has taken over Agrabah. 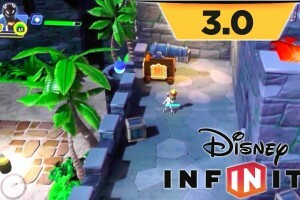 Here you are on a quest to safe Princess Jasmine, travelling over deadly hot lava pools and climbing on perilous ledges, battling guards and avoiding traps, before you finally make it to the battlegrounds. Here you must go head to head with the evil Jafar who has transformed into a giant snake who wants nothing more than to crush you! Your only weapon against Jafar is a paint gun, so good luck hero! This Toy Box is an awesome take on the story of Sleeping Beauty. Sleeping Beauty is being held captive by the evil Malificent, and it is your task to save her. There’s lots to do in this Toy Box, as you must escape the forbidden mountain, face the evil Malificent, journey through Dragon castles and scary fire battles to reach Aurora in her tower and reunite her with her family before it’s too late. Yeee-Haaaw! If you are a cowboy or cowgirl at heart, this Toy Box is for you! 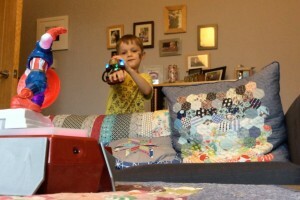 In this Toy Box you and up to three friends are having a showdown in the Wild West. 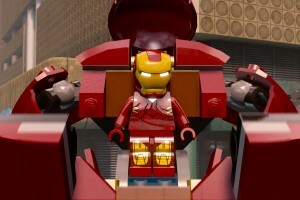 You must be careful though, the aim of this Toy Box isn’t to kill your foe but to gain the most points! You must avoid and use strategically placed traps and beware unexpected enemies who will drop in to slow down your progress. Don’t forget to try to slow down your buddies as much as possible. Be sure to focus the moment you are dropped in because the first player to 15 wins! Go get ‘em, cowboy! 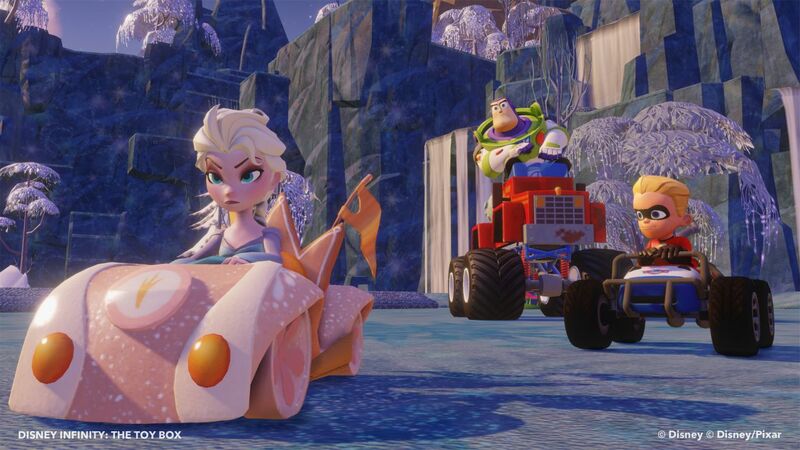 We can’t have a list of the best Toy Boxes without including our favourite new Disney film Frozen. There are loads of great Frozen themed levels to chose from, but this one is definitely the most awesome. Created by MightyGitis, this Frozen-inspired Toy Box has you activate four buttons in order to build up a giant Olaf the snowman. 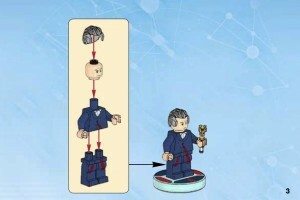 It’s not as easy as it sound though, because these buttons are hidden around the Frozen Kingdom. Explore the floating castle world and the forests covered in trees to find the four buttons and bring Olaf back to life. 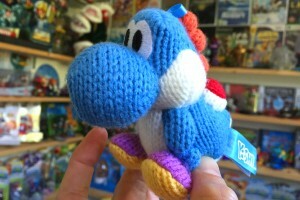 So there’s our Top 10 Toy Boxes to get you started, and all of them are available for you to play now on the PS3, Xbox 360, Nintendo Wii U, PC, or iPad. All of the Toy Boxes we’ve listed here were created by people just like you, so after looking at all these amazing creations we hope you are inspired to create your own Toy Box! 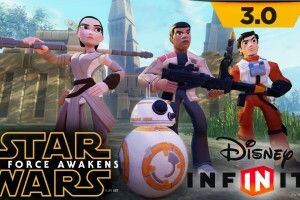 If you are, be sure to check out our tutorials pages, Learn How to Use Disney Infinity Toy Box Part 1, Part 2, and Part 3 to get the lowdown on how to do it. 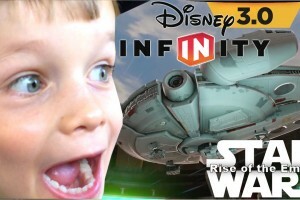 You can also follow Disney Infinity’s official Video Blogs on YouTube to take part in their weekly Toy Box competitions. If you decide to enter be sure to tell us all about it!